With over 20 years experience in the Construction Industry and countless testimonials from our satisfied clients we at Castlestrange Construction aim to eliminate the task of dividing your project between different architecture and construction companies. As a team of passionate builders we are a company that offers design and build services for you from initial sketches to the final construction of your dream home or living space. With over 20 years experience in the construction trade Castlestrange Construction have all your construction needs covered. 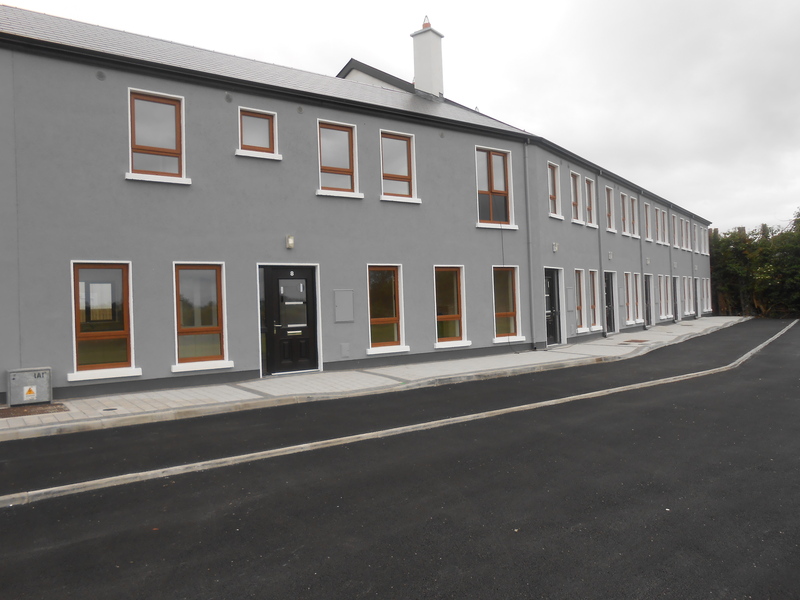 We have a broad portfolio of successfully completed projects across a range of sectors including Residential , Commercial and Industrial some of which can be viewed on our portfolio page. Castlestrange Construction works closely with architects, engineers and our clients to deliver projects to the highest specification, on time. We have the experience and ability to take commercial projects from inception to full finish offering a “one stop” for all your needs. Renovation projects have featured highly in the works we have completed over the past 10 years and we are pride ourselves on being renovation specialists. We have built our reputation on our client focus and hands-on approach. We are proud of the fact that the majority of our workload comes from repeat business and the fact we have a strong reputation for our reliable execution of all projects undertaken. 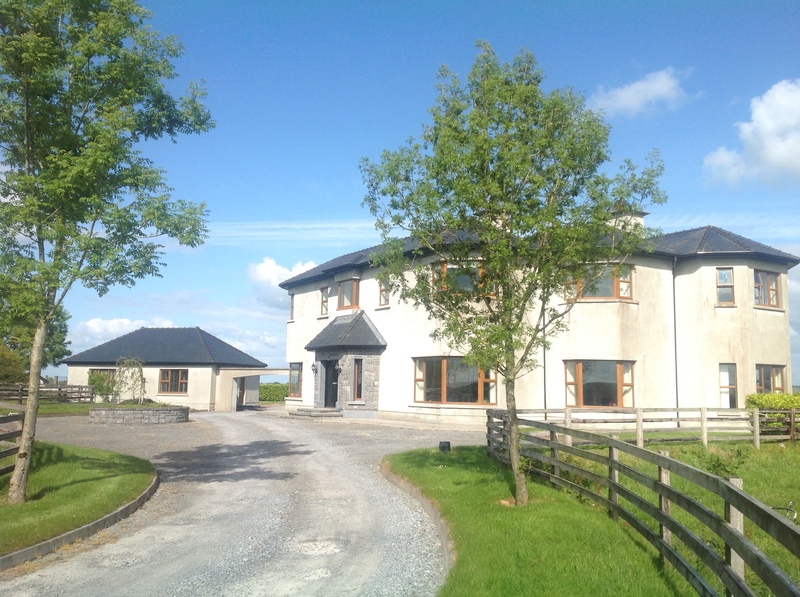 We believe in providing excellent project management and innovative solutions to complex construction projects This is achieved through our relentless attention to detail and an experienced team of locally based and skilled tradespeople who have the drive and customer focus to ensure client satisfaction is a given on all Construction projects. The delivery of a high quality and consistent level of service means we have grown our business and reputation on the strength of the first class service we offer and the business philosophy we engage. "We love what we do , we love building . With over 20 years experience in the building industry we have done everything from tiny porches to renovating old houses to individual new builds and large housing estates. We have been involved in numerous commercial projects and continue to work and serve a large client base of loyal clients. We are always happy to meet new clients and help them acheive their dream home or project. " 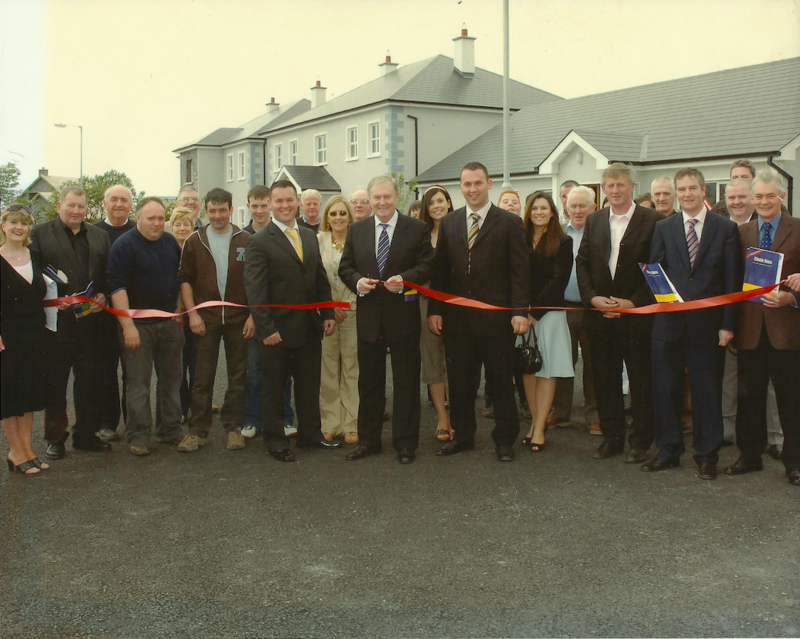 Our team , suppliers and supporters pictured at the 2006 launch of our housing estate development at Cluain Dara, Ballyleague, Co. Roscommon beside the beautiful river Shannon. Marty is our Managing Director and has many years of experience in the construction industry. He has overseen every level of project from building housing estates and retail units to small renovations. Marty liases with the clients and the engineers and architects to make sure that the client gets what they want. Pat is our man on the ground on each project , dealing with all the day to day work and who is doing what and where. Pat has been doing what he does well for over 20 years. He has overseen everything from housing developments to small porch renovations. Sinead is our main woman in the office. She deals with all our office administration, health and safety paperwork and the invoicing and financy stuff . We would be lost without her! We would love to help you build your dream living space. Call us today for your no obligation consultation to discuss your needs. © Copyright 2017 Castlestrange Constrcution All rights reserved.